Highland Lakes Area Home Delivers Views, Family Fun - Showcase Builders, LLC. Delivering high-quality custom homes for our customers is the No. 1 goal at Showcase Builders. If you are looking for a super example of our work, then take a look at this Highland Lakes area home. One of the things that we look for when starting out our building projects is making sure that we match what the customer wants. 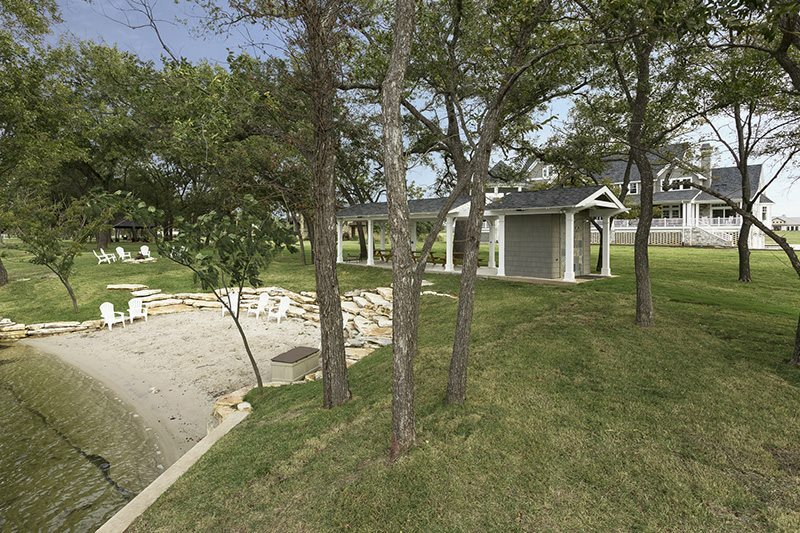 Many of them desire to have their homes built around the Texas Hill Country lakes so they can be involved in water activities like boating or swimming. It’s also important that the home provides a pleasant venue for entertaining friends and family members. Recently, we built an incredible home for a customer that we’re really proud to talk about. 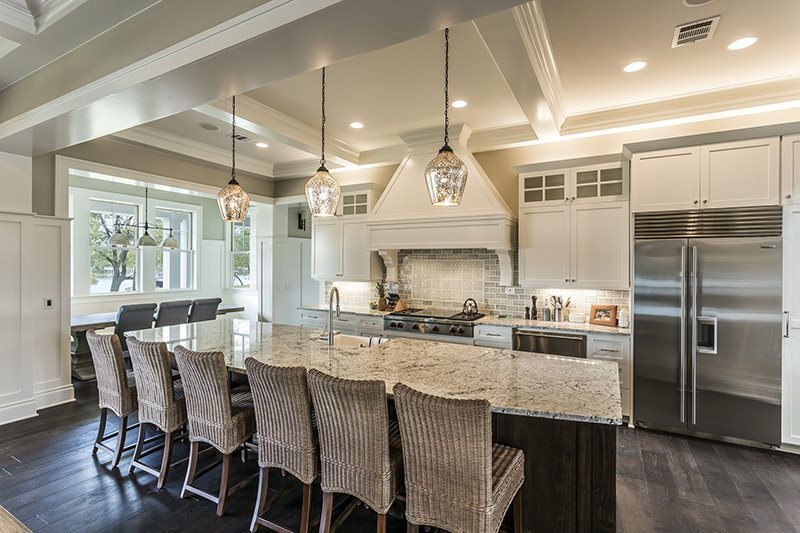 We recently earned Best Kitchen and Best Interior Design awards in the 2014 Hill Country Builders Association Parade Home Tour. This 7,123-square-foot home, which is featured in these photos, has seven beds and 7½ baths throughout its spacious living areas. Among its features include a Cape Cod design two-story octagon for an incredible outdoor living experience, a two-story boat dock with an upper deck and fishing pier, and a pavilion which is a bath house/outdoor shower/beach landing all rolled into one. The two-story octagon provides different viewing spots for the lush Hill Country beauty. It’s an awesome place to be for sunrises or sunsets. Also, the wraparound porch just adds to the home’s glorious luxury. Inside the home, there are premium Royal Oak hardwood and Versailles Travertine tile floors and granite and quartz countertops throughout the home. At Showcase Builders, we always take pride in our work. This home is a definite testament to that type of commitment. 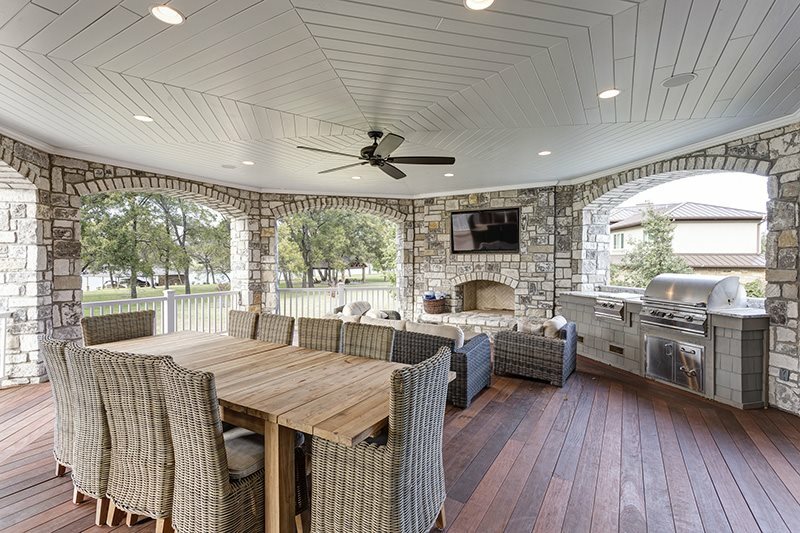 If you and/or your family are looking for a custom home like this, contact Ryan Haberer at 512-745-7241 or via email at ryan@showcasebuilders.com.